Several of you - there are dozens of us! 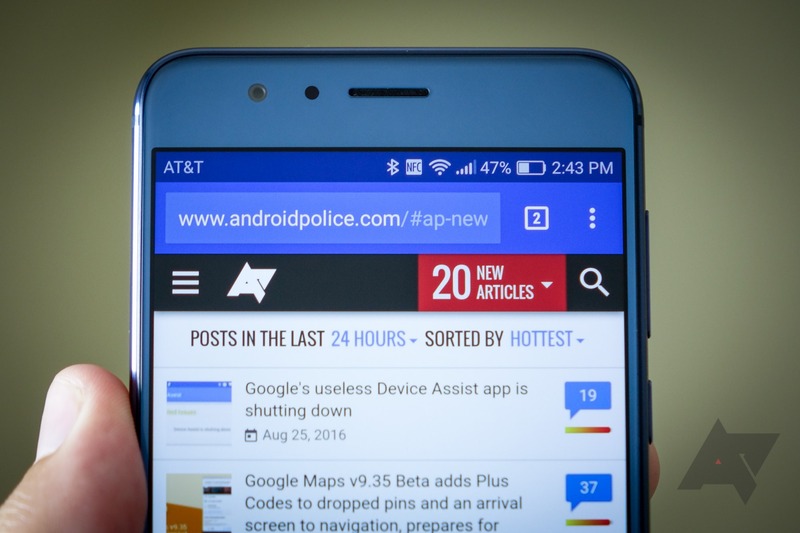 - have asked on a number of occasions that Android Police list off some of the most popular mobile devices used on the site by our readers. Using Google Analytics, we actually have pretty granular insight on this, and so I figured I'd share with you the top devices in the last month as well as some of my obscure favorites and their respective positions on our list. Ready? We'll start with the top 12 (more on why in a second), in order of popularity. The reason I used a list of twelve, you may have guessed, has to do with those Apple asterisks. Apple does not use individual device user agents, but merely an "iPhone" and "iPad" agent - one for each form factor. This is obnoxious for statistics, so they get special little asterisks to denote the fact that they really shouldn't be up that high on the device popularity list technically speaking, but I find them interesting to include since you probably might not guess that only the Nexus 6P outranks iPhone traffic on Android Police. The rest of this probably won't remotely surprise you: it's all Nexus or Samsung. Until recently, the OnePlus One had been holding onto a solid portion of our traffic, but the Galaxy S7 and S7 edge have absolutely surged ahead and displaced some of the popular devices as a result. Here are some of the more interesting rankings, in my opinion. 25th: Google Nexus 4 - still alive and kicking. 35th: LG G5 - a handful of positions below the HTC One M8. 40th: Google Pixel C - better than I personally expected! 50th: HTC 10 - marginally less popular than the global unlocked Galaxy S IV. 115th: OnePlus 3 - accounting for roughly as much traffic as the Huawei Ascend P8 Lite. 175th: BlackBerry Priv - it's something. 250th: Nextbit Robin - well that's not surprising. 275th: Amazon Fire Phone - what. 350th: Galaxy Nexus - this is not a joke. 500th: Nokia XL - remember that thing? I'm not sure if I'll make a recurring post series out of this, but I have to admit it was fun - especially digging through all the obscure stuff!